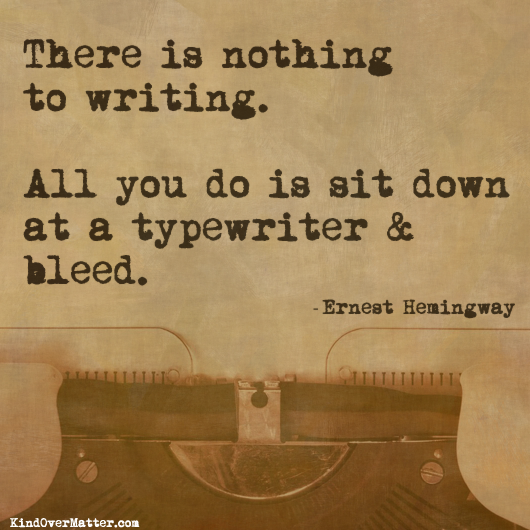 That is why I write. As hard as it is to share my writing, in the end, I write because it’s the only way I really know how to live in this world. I’m bad. I don’t do the endless revision. It makes me feel guilty that I don’t. Instead I publish what I write and then beat myself up over every nuance AFTERwards. Which definitely isn’t fun! Anyway, I loved the piece :-). I don’t really know any writers in real life, so it’s nice to hear from you. Hi Mandy! I appreciate your words. I’m glad you enjoyed this post! This blog has really helped me grow out of my writing shell. Thanks so much for reading and commenting! I enjoy engaging with you.